Major Intersection: Church St. and Dundas St. E.
Size: approx. 1,765 sq. ft. This downtown Toronto 2 bedroom condo unit sold for 105 per cent of the asking price in 2 days on the market. “Over 1,700 sq. ft., this unit has plenty of living space. It is located in a building known as Merchandise Building Lofts and showcases 12-ft. exposed concrete ceilings and warehouse-size windows that capture both south and west views. It also features hardwood floors in the living area, a chef’s kitchen, a gas fireplace in the living room, and a master bedroom with a full ensuite and walk-in closet”. The building is a short distance to Ryerson University and the Eaton Centre. It is walking distance to many stores, restaurants, entertainment, a hospital, and the subway. As well, it has easy access to the Gardiner Expressway and the Don Valley Pkwy. Amenities in the building include an exercise room, an indoor pool, a recreation room, a sauna, a security guard and security system. Unit has living room with gas fireplace and hardwood floor; dining room with hardwood floor; kitchen with breakfast bar and stainless steel appliances; master bedroom with broadloom on floor, walk-in closet and five-piece ensuite; second bedroom with hardwood floor, large closet and four-piece ensuite; office with broadloom on floor. 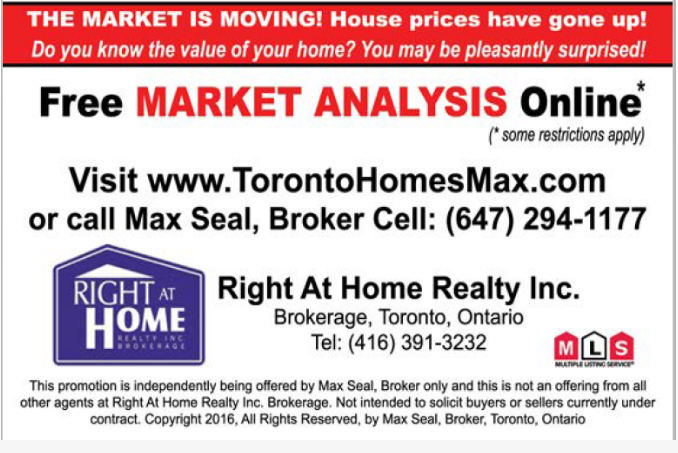 Are you thinking to sell your Condo in Church-Yonge, Toronto area? Are you thinking to buy your dream Condo in Church-Yonge, Toronto area?